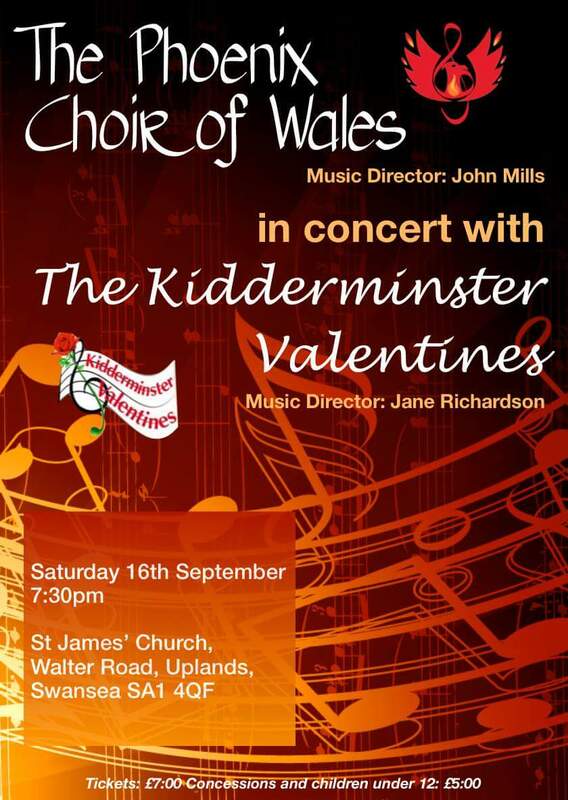 The Valentines are heading over the border to Wales to join forces once again with the Phoenix Choir of Wales for a special joint concert on Saturday night. The two choirs have sung together twice before, on our summer tour to Swansea two summers ago and then the guys visited us for a concert out at Alverley. 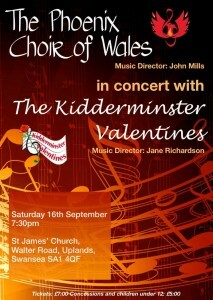 Both Choirs are introducing new pieces into the concert repertoire, and we are sure the concert will be well supported on Saturday night.